Regional School Unit 14 board Chairwoman Marge Govoni and Council Chairman Dave Nadeau’s views could affect town policies into the future. In 1985, Marge Govoni and Dave Nadeau cleared a camp from 89 Johnson Road and built a home looking out onto Highland Lake. At that point, there were 10 small camps on the road, mostly owned by people from Portland. These days, there are some 70 homes located on the winding, narrow road. And the Highland Lake shore, close to Route 302 and once ringed by camps, has undergone a similar transformation. 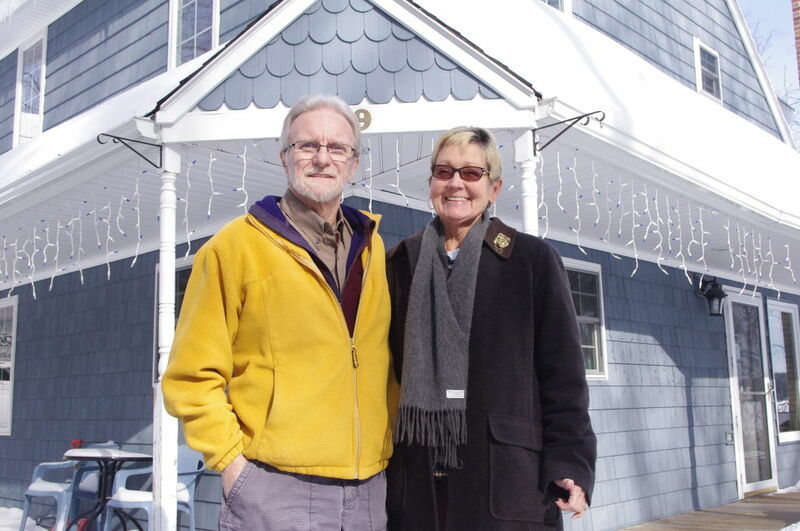 For Nadeau and Govoni, who moved from Charlestown, Mass., into the lakefront home in 2000, the issues associated with the residential growth on Johnson Road cut to the core of the key question facing Windham: How does the fastest-growing town in southern Maine want to develop? With the couple’s ascendance to local political prominence – with Nadeau as the new Town Council chairman and Govoni as chairwoman of the Regional School Unit 14 School Board – their views on this question may increasingly affect town policy this year. This type of unplanned, spontaneous growth is set to cause hardship in the future, in Nadeau’s view. “If you continue to allow growth to happen like that, whether it be commercial growth up in North Windham or residential growth, you’re only putting a burden on the people 20 years out, 40 years out,” Nadeau added. Nadeau and Govoni, who are not married but have been together for 35 years, say they don’t agree on everything. Govoni describes Nadeau as a “visionary” and herself as a “realist.” To keep their partnership stable, they say they try to stay out of each other’s business. But when it comes to their assessment of Windham and its future, the two seem to be on the same page. In Charlestown, the oldest section of metropolitan Boston with its historic, Colonial row houses and Irish-American cultural tradition, neighborhood feelings ran deep, according to the couple. In Windham, with its rapid residential growth and car-centered culture, life is more alienating, they say. For Govoni and Nadeau, the frenzied residential growth and the relative dearth of public services, places and transportation options are depriving the town of a sense of community. For Nadeau, Windham needs to take a hard look at what it is, and what kind of community it wants to be. Windham’s “rural” quality – a difficult trait to define – is increasingly absent, Nadeau said. 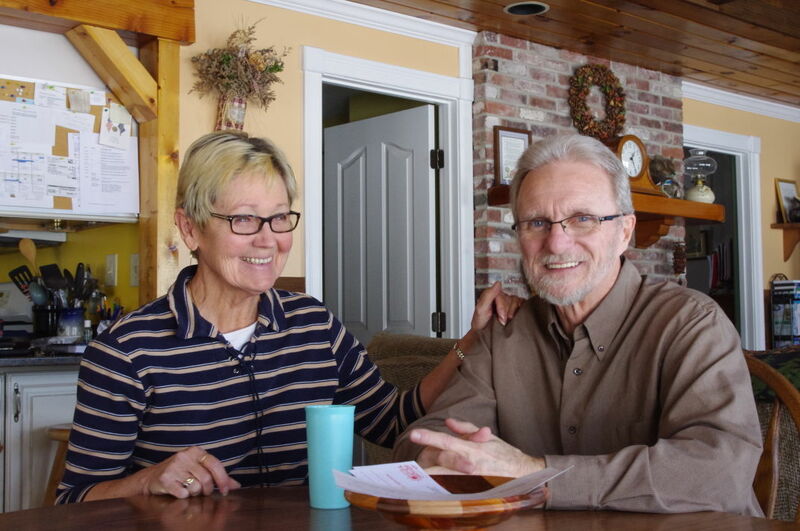 The couple moved to Windham after Govoni retired. From 1980 to 2000, Govoni was a manager in a manufacturing facility that produced missile systems for Textron Systems, an industrial conglomerate that includes Bell Helicopters and Cessna Aircraft. From 1980-1986, Nadeau was an electronic engineer for GenRad, a manufacturer of electronic test equipment. In 1986, en route to a meeting, Nadeau was hit in a head-on collision, when a driver drove across the centerline. Prior to the crash, Nadeau had already had his back fused together in surgery. The crash led to further injuries that have caused Nadeau chronic back pain for the past three decades. Nadeau retired following the accident. After moving to Windham, Govoni and Nadeau quickly tired of sitting around the house, enjoying the view. To fill the void of activity, Govoni and Nadeau tried to involve themselves in the community. Govoni volunteered at the food pantry, and started the Windham community garden, which she modeled from a community garden in Charlestown. She joined the Human Services Advisory Committee and the Zoning Board of Appeals, eventually becoming its chairwoman. In 2008, prior to consolidation with Raymond, she ran for a seat on the Windham School Board and lost. Several months after the election, Jeff Vermette stepped down, and Govoni was appointed to fill the vacancy, given that she had received the most votes of any losing candidate. In June 2014, Govoni was appointed chairwoman of the RSU 14 School Board when Catriona Sangster stepped down from the board. Govoni is scheduled to remain chairwoman through December of this year. Meanwhile, Nadeau served 10 years on the Windham Planning Board. In 2011, he was elected to the Town Council. Last November, he replaced Tommy Gleason as council chairman. So what does the couple plan to do now that they are heading the town’s two major governing boards? Govoni said she plans to continue applying her “realistic” approach to school board affairs, and, in particular, the threat of a Raymond withdrawal from the district. That perspective, Govoni said, informed her approach to the new cost-sharing formula proposal, which would raise Windham taxes and decrease Raymond taxes. Nadeau, meanwhile, plans to move full-speed ahead with a new strategic planning approach for the town government. At its Feb. 3 meeting, the council voted 5-0 to approve its 2015 council goals, which included the adoption of a long-term strategic plan by Nov. 1. According to Nadeau, strategic planning will provide continuity through the years, align the visions of various departments with the town’s comprehensive plan, and improve the quality of town services. Although the town has tinkered with strategic planning approaches in the past, Nadeau said, this time will be more serious. At its core, strategic planning represents an acknowledgement that town government is “fundamentally different than a business,” Nadeau said. “This came about because prior councils wanted everything measured, and they wanted it to run like a business,” Nadeau said. For Nadeau, this axiom that the town must run like a business is a legacy of the days when Windham was legitimately rural. The laissez-faire “Old Yankee mentality,” as he put it, has led the town to become a “convenience economy” or a “pass-through economy,” as opposed to a strong, year-round economy. If Windham had used strategic planning in recent decades and invested strategically in its long-term infrastructure needs, the town would look more like Scarborough, in Nadeau’s view. With better infrastructure, the town would be able to attract more businesses, and create more and better jobs. What does strategic planning mean practically? This budget season, Nadeau will propose to his fellow councilors a 5-cent annual increase in the property tax rate for each of the next five years. The extra $100,000 in annual revenue will go to the road budget, which was funded last year at roughly half the levels necessary, according to a town study. As part of the strategic planning overhaul, town departments will also be instituting new metrics that show the level of services Windham taxpayers receive for their tax dollars. The new data will appear on the budget and will show the percentage of services that a given level of budget expenditure provides. If a given budget total will allow the public works department to mow a third of the town’s grass this year, the budget will reflect that. It will also give a reason, such as lack of manpower. Nadeau’s strategic planning vision reflects their different approaches, Govoni said. But to Nadeau, strategic, long-term planning is the only realistic approach for Windham. The alternative, Nadeau said, is to wait for the town’s infrastructure to deteriorate so much that the council will be forced to float more large-scale infrastructure bonds, plus debt service.